Please provide your contact details in order to request a demo or get more information. We will get back to you in the next few days. Used by over 5,000 residents across dozens of buildings in the United States. Learn how Riseio is redefining urban life with the world's most modern and innovative building management system. of living in a high rise. 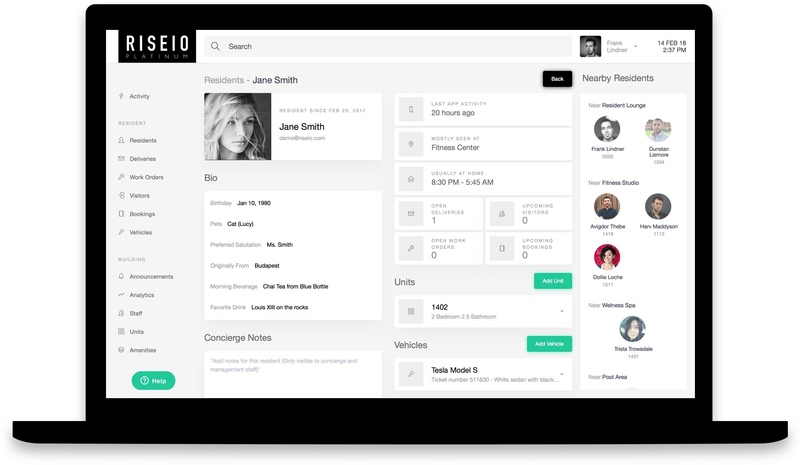 The Riseio CRM complements building staff by giving them the tools they need to enhance residents' living experience. 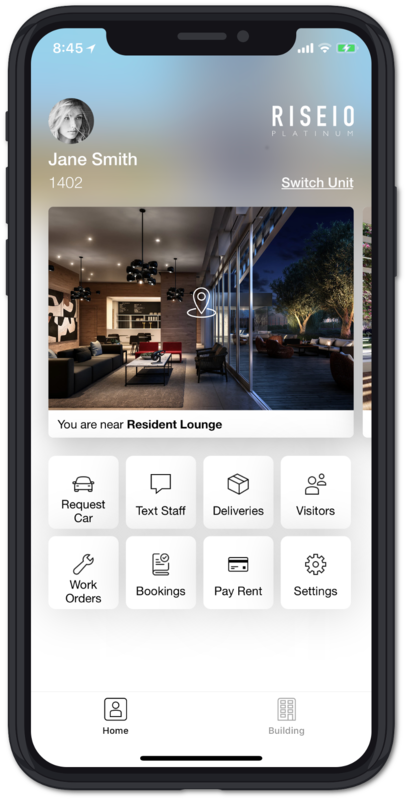 Riseio shows real-time building activity, real-time resident location in amenities, and dynamic resident profiles, enabling staff to deliver a more personalized experience. 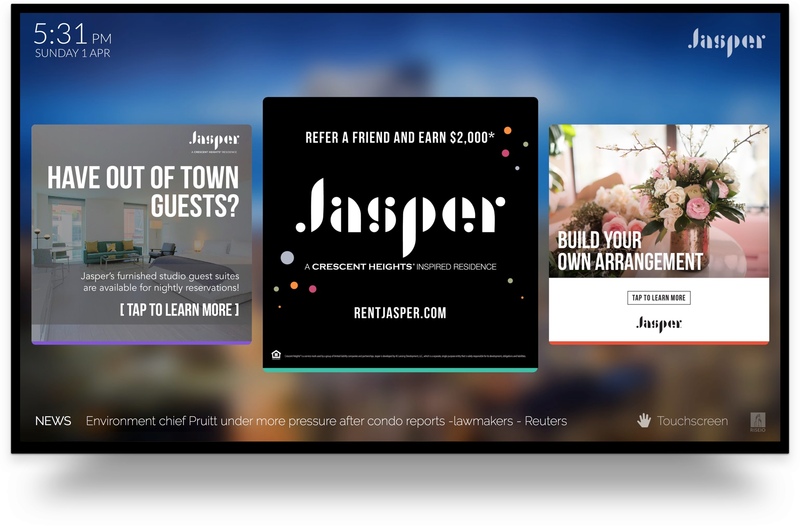 These features ensure higher retention, brand loyalty, and referrals. 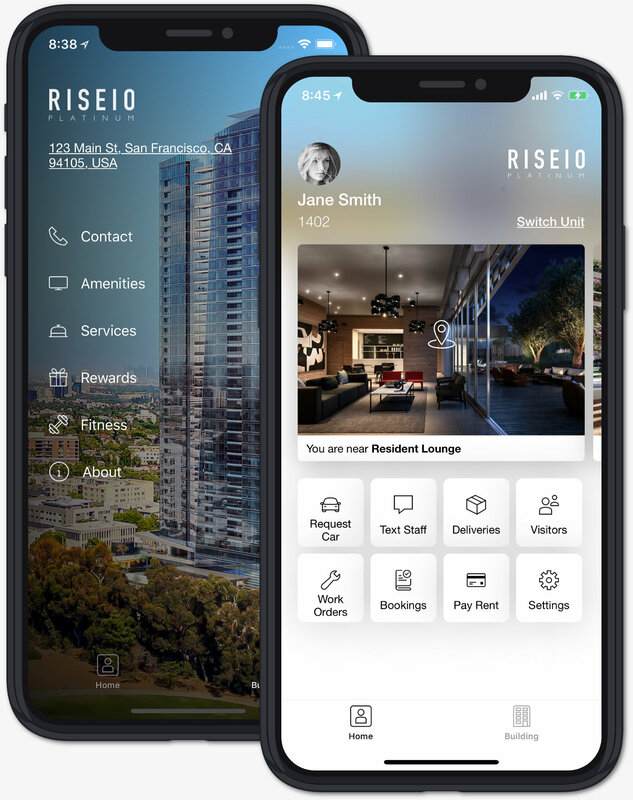 Riseio for iOS and Android enables residents to book a guest suite, get a car wash, have their pet groomed, pay rent, put in a work order, get package notifications, add a guest, RSVP to an event, call their car from valet, and text building staff. All in one modern and native app. events, news, services, referral incentives, real-time transportation, social media feeds, retail discounts, weather, and more.